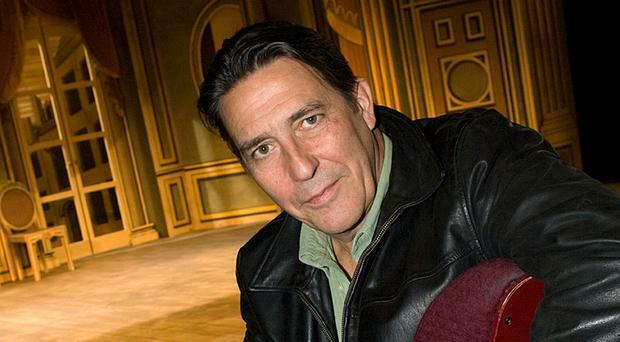 Game of Thrones actor Ciarán Hinds Lives with Girlfriend of Three Decades: Are they Married? Ciarán Hinds is an Irish TV, film and stage actor best known for his portrayal of Mance Rayder in the famous TV show Game of Thrones starring Emilia Clarke, Kit Harington, and others. Likewise, he is also recognized for the role of Steppenwolf in Justice League. Hopping on to his personal life, there are many questions regarding his marital status. Many assume that he has just been in a relationship with his girlfriend Hélène Patarot for the past three decades. There are different sources that claim different things about Ciarán Hinds' relationship with his girlfriend Hélène, but the two are not married yet and still in a relationship. Moreover, even though they are not married, they do have a child together. The 65-year-old is one of the biggest names in the film industry especially when it comes to playing characters like Aberforth Dumbledore in Harry Potter's sequels. Nonetheless, here we are going to share some information about the actor's marital life with wife Hélène Patarot, their children, and his past affairs. Hinds is currently in a relationship with girlfriend Hélène Patarot who is also an actress best known for her works in films like The Mahabharata and The Lover alongside Jane March, Lisa Faulkner and others. The duo met back in 1987 during the cast of The Mahabharata which Hélène was a part of. They seemed to have hit it off right there as they started dating very soon. It has been a massive three decades since they started dating and yet they are not married. Even though they are not married, they do have a daughter together. Four years into their relationship, the pair welcomed their first child into the world named Aoife in 1991. According to sources, the small family resided in Paris. Furthermore, despite being in a relationship for so long and not sharing any details about getting married, there are no rumors about them splitting or getting a divorce. Hopefully, if Hinds ever decides to put a ring on Hélène's finger, their fans get to witness them finally tying the knot after three decades of being in a relationship. Ciarán is a very private person when it comes to his personal life. He is not the type to share everything about his personal experiences with the media. Even the details about his current relationship are very hard to find let alone his past affairs. So, there are no reports or rumors about the actor being in a relationship before Hélène. Well, he might have been in a few affairs and encounters, but he has done an excellent job at hiding these details about his personal life from the public.